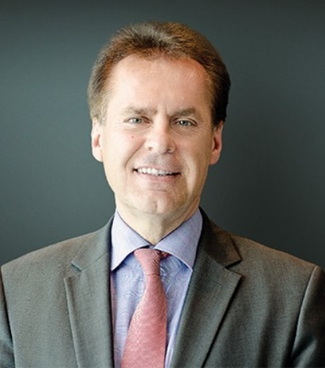 The former cargo chief of Qatar Airways, Ulrich Ogiermann has taken on a new assignment as advisor to London-headquartered freight carrier CargoLogicAir (CLA). His task is to pave the way for Russian Volga-Dnepr subsidiary CLA to obtain a German AOC. Despite his decision to exit the Qatari carrier already last December, Ogiermann’s contract with QR Cargo expired only at the end of March, which explains that not much was heard of the manager during the last four months. But now the 58 year-old reappears from what seemed to many in the industry as early retirement. This is what Uli told us when we asked him about his new role: ”I can confirm that as a consultant, I am advising CargoLogicAir to set up an AOC in Germany. Location is half Leipzig for me, the other half in London.” He added to this that it is a temporary assignment, ending when the AOC is granted by the German regulator. With Ogiermann focusing his activities on Leipzig it can be concluded that CLA intends to concentrate their operations at the East German airport as soon as Brexit has become reality. Given these preconditions it remains to be seen how many of the carrier’s activities will remain in London. Some market observers even believe that CLA will pack their bags and move their entire administration over to LEJ. This however, remains a matter of speculation for the time being. Be as it may, fact is that Leipzig has developed into a hot spot for Volga-Dnepr activities since some time now. There, the Moscow-headquartered company runs a major technical shop and has permanently based some of their AN-124 freighters operating on behalf of most NATO states and EU members. Also, its line-haul daughter AirBridgeCargo uses the airport frequently for their scheduled freight flights. Interesting to note is that the German government in close coordination with the state of Saxony is very eager to grow Leipzig’s freight activities further, supporting corresponding initiatives. The airport, which is best known as largest global gateway of package delivery company DHL Express offers 24/7/365 ops and has plenty of space to expand further. Therefore, it is no surprise that former Cargolux CEO and QR Cargo chief Ulrich Ogiermann will be seen in Leipzig frequently in the months ahead to accomplish his news mission.